Alisa Fleming ~ There are many websites out there that tell you the “best vegan protein foods” based on nutritionals, or that give you the marginally impressive protein count on 2 cups of kale and 1 cup of quinoa. 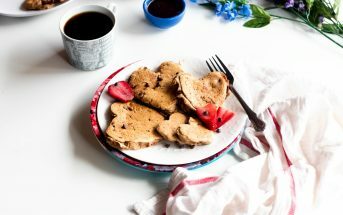 These are truly awesome healthy foods, but when your goal is specifically to increase your intake of vegan protein for weight loss or fitness, you are probably most interested in convenient sources that you can easily slip into your everyday diet. One of the primary problems with protein bars, vegan or not, is all of the added sugars. After activities or exercising, your sense of smell is heightened, causing your taste buds to also be more sensitive. In other words, if you have a need for more protein due to physical activity then you really don’t need a super sweet protein snack, and some protein bars may even taste too sweet. Fortunately, there are vegan protein bars for weight loss that are lower in sugar, but still taste delicious. I used to shoot for 12 grams of sugar or less when sourcing a protein snack bar, but now there are even better options. 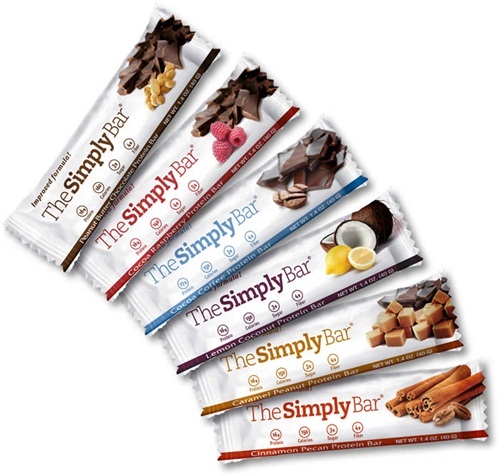 In my opinion, The Simply Bar is currently the best protein bar because it offers rich flavors that are just sweet enough with only about 3 grams of sugar (but 16 grams of protein!) per entire bar. Trail mix is a godsend in our house. If it weren’t for the easy accessibility of nuts, seeds, and chocolate chips (what can I say, someone in this house loves chocolate), my husband would be the grumpiest man on earth. We keep a bowl on the counter, so he can grab a handful or two whenever he has the need for a very quick protein snack. 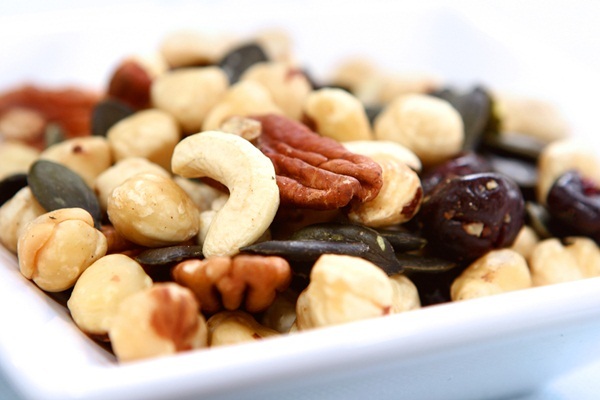 Nuts and seeds are a nice “whole food” vegan protein snack option, with nuts like almonds weighing in at about 8 grams of protein per serving (1/4 cup). They also go well with dried fruits, like raisins, cranberries, and apricots. Nuts and seeds are slightly higher in fat, so you may want to limit your intake if you are following a low fat diet, too. There are many vegan protein powders out there, including brown rice, soy, pea, and hemp. But let’s face it, like gluten-free flours, these powders don’t tend to be stellar all on their own. We prefer protein blends or shakes that combine two or more of these types of proteins for a better textural and flavor experience. Again, keep an eye on those sugars. 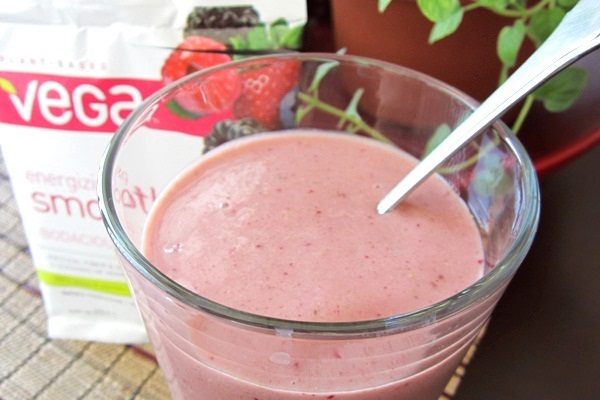 As I’ve professed before, My Vega is our current favorite powder-based protein for weight loss and low overall sugars, but there are many brands to taste test. Though they are nutritionally the same as whole nuts and seeds, smooth and creamy butters are a world away. I’m not a huge whole nut fan, but adore enjoying creamy nut butters with apple slices or whole grain crackers for a well-rounded vegan protein snack. Each nut produces a unique flavor, so be sure to test out a selection. 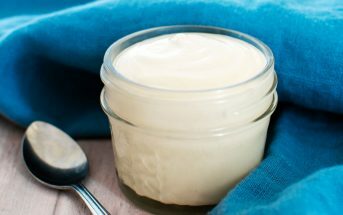 For price and protein, my favorites are almond and cashew butters. 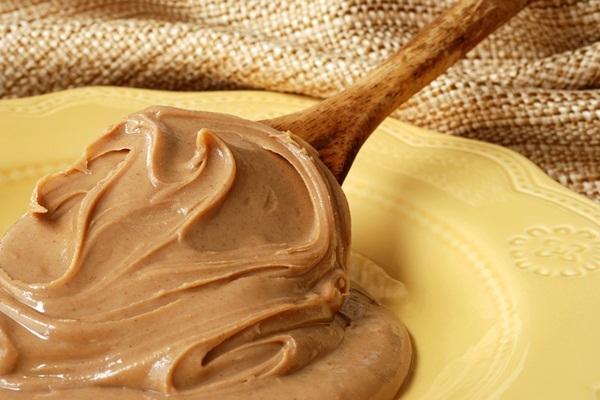 You can grind your own nut butters at home with a food processor or small grinder. 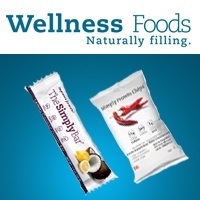 A new entry into the protein supplement market is savory protein snacks. Companies are recognizing that not everyone wants their protein in a sweet form at all, and that a protein bar alternative can be a nice change of pace. Crackers and chips seem to be the new medium for savory protein snacks and protein supplements for weight loss. I’ve tried a few brands, but I really like the new Simply Protein Chips. They are a great soy-free option for those who have milk and soy protein intolerance and they taste so good! 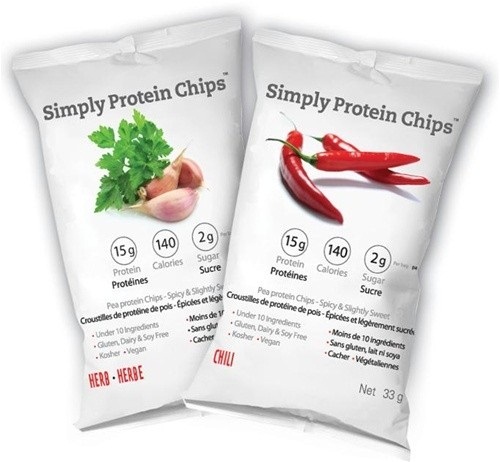 Simply Protein Chips, currently come in two flavors, Herb and Spicy, though I’m hoping they add even more varieties. Hi, Thanks for sharing! Truly inspirational! Great post! I too LOVE Vega. Their smoothies are amazing; I’m having one right now, too! Thanks for giving out amazing tips for vegan protein.